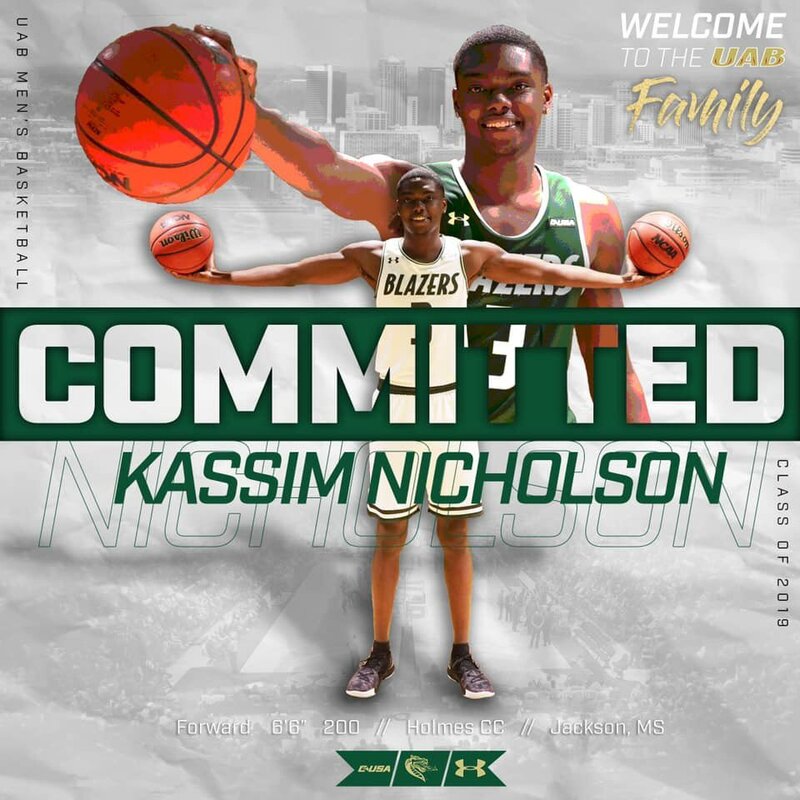 (04-18-2019 09:27 PM)frenchbeef Wrote: Add Kassim Nicholson as a possibility. UAB offered back in November. 6’6 G/F out of Holmes C.C. in MS. Averaged 15 points and 10 rebounds per game; 45% from 3 pt range. Coach E just now following him. We could use an actual small forward. (04-19-2019 03:07 PM)ATTALLABLAZE Wrote: Yes. They will announce all three at once. Thanks. Then there’s no telling how long we may have to wait. Would hope that if you are waiting to fill your 2nd or 3rd spot, that you don’t lose your first commit from having them wait to sign so much later than they anticipated. Gives them time to continue to evaluate other options. Or maybe signing and having signings announced are two different things. (04-19-2019 03:00 PM)Blazer88 Wrote: Does he have to sit a year? There is the possibility that he can get a waiver since the coach at Troy was fired. Its slim but so was Jeremiah Bells chance for a waiver last year. (04-18-2019 04:06 PM)BlazinBham Wrote: That guy may be Dazon Ingram. WKU folks feel good about him from some stuff I’ve seen posted. There's actually a 4star 2020 PG visiting this week who may reclassify for 2019. Four-star guard Jordan Rawls just committed to Western Kentucky, he tells @247Sports. He also plans to reclassify to the 2019 class. Was ranked No. 66 in the 2020 @247Sports Composite Rankings. Western is out recruiting the rest of his league by a mile. And yes I know all about Stansbury. WKU can. In fact, they recruit for us, too. We’ve been trying to or have been taking the guys they’ve shown interest in but have told to wait, so they can give their top prospects time to make up their mind. I like Javan Johnson. 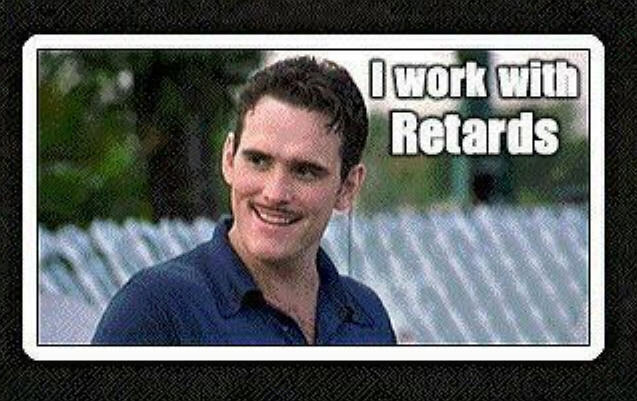 Was disappointed we didn’t recruit him out of HS. However, I’m looking for immediate help from behind the arc and one more Juco big man. Makes for competition and makes you feel better about what’s behind Gueye and a not guaranteed to be fully recovered Butler. Seems solid. I cant see any other offers he received. Ask and you shall receive, I guess. Welcome to the the South Side! Grab another pg and a big and we're in business. Wonder if James Lee still in the picture. may have meant UAB announcing all at once. (04-20-2019 05:55 PM)the_blazerman Wrote: may have meant UAB announcing all at once. Definitely improved from his freshman to sophomore year, especially in his shooting. And at almost 10 boards a game, he should help us on the glass immediately. Haven't seen any video, but from his stats he seems like a good addition. Hope he gives us 25-30 minutes a game. This will be another in between guy kind of like TSG but with more size on his frame. He is a good fit for the scheme it seems we are going for.